Meet your skins new best friend, the must have addition to your cleansing routine. 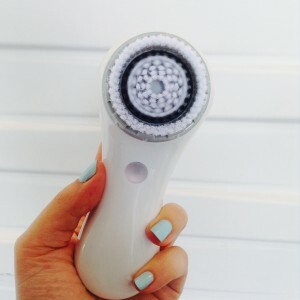 So many skin issues are caused by improper cleansing, combine the advanced cleansing brush with your cleanser to loosen sticky oil, dirt and traces of all make up and SPF. Having a thoroughly clean skin will not only prevent excess oil, blackheads and breakouts but primes the skin to absorb topical treatments.